The following information is provided as a service to the citizens of City of Fairfax, Virginia. Each year, the Real Estate Assessment Office appraises all real estate property in the City to determine its value for tax purposes. All assessments of real property, which includes land and permanently affixed structures, are based on 100% of fair market value and are equitable with the assessments of comparable properties. Visitors to the site are encouraged to contact the Real Estate Assessment Office at 703.385.7840 to report known discrepancies or errors that may be discovered while perusing the site. In such cases, property inspections will be performed to verify and correct the data. We will try to keep this site updated on a regular basis as changes occur. Please direct any questions and comments you may have relative to this site by emailing Real Estate Assessment Office or by calling 703.385.7840. Our staff will be happy to assist you in any way that we can. Under Virginia State law these records are public information. Display of this information on the internet is specifically authorized by Va. Code 58.1-3122.2 (1998). See the Virginia State Code to read the pertinent enabling statute. Owner names will be withheld from the Internet record upon request. 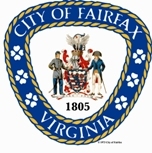 While the City of Fairfax has attempted to ensure that the data contained in this file and displayed on this site is accurate and reflects the property's characteristics, the City of Fairfax makes no warranties, express or implied, concerning the accuracy, completeness, reliability, or suitability of this data. The City of Fairfax does not assume any liability associated with the use or misuse of this data.